Last Monday, Québeckers everywhere took a leap of faith and elected a Coalition Avenir du Québec (CAQ) majority government. This is the first time since 1976 that a party with no previous experience has been elected. So, what does this mean for us? Many of the CAQ’s economic policies seem similar to the Liberal’s, which have brought us to a balanced budget and record low unemployment by cutting deeply in social services. 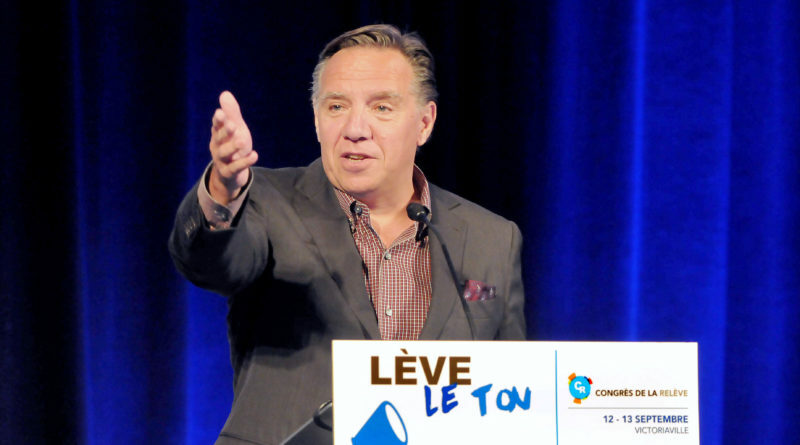 The party leader, François Legault, is a trained accountant and co-founder of Air Transat, and his previous experience in cabinet (health minister under Lucien Bouchard and education minister under Bernard Landry) has shown him to be a strong proponent of efficiency in the government. In addition to being fiscally conservative, Mr. Legault’s immigration policy is also very right-wing. He has proposed a plan to reduce the number of immigrants entering Québec by 20%, to 40 000 per year. In addition to this, he wants new immigrants who fail a language and value test to be expelled after a certain period of time. Though the details of this policy are not yet certain, Mr. Legault is confident that it will be implemented. In tandem with the rise of the CAQ, this election also saw the fall of the Parti Québecois. Their share of the seats (nine to be exact) was the lowest it has been since 1973, when the party had just been founded. This has led to them being unable to maintain official party status. Looking at the polls, it seems that support began to erode when Jean-François Lisée made a harsh, unscripted attack against Québec Solidaire leader Manon Massé in the final debate. The general loss of faith in the PQ was such that Jean-François Lisée lost in his own riding of Rosemont to Vincent Marissal of Québec Solidaire. Since then, he has had to step down as leader of the PQ, which will lead them to their third leadership race in as many elections. All in all, this election has been a major shake up in Québec politics. The CAQ being elected breaks a fifty year cycle of either the liberals or the PQ being elected, and opens up the possibility for other, less known parties to gain some ground. Whether or not you are happy with the results of this election, there is one very important thing to keep in mind. If you did not vote, then your opinion did not matter. By casting our ballots, we give a voice to what we beleive matters. So next time, when you are thinking about staying home on election day, remember that your voice should matter.